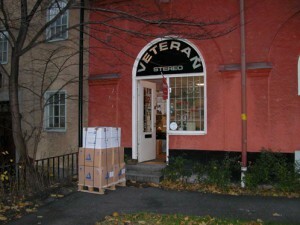 Veteran hifi has been the premium store for audiophiles in Stockholm since the 1960s. The store, started and run by audiophile legend Curt Herbert Kaminski until the time of his passing in 2001, now run by Mirre Stasilowicz, maintains a strong position as the leading expert on analog high-end audio equipment in Stockholm. At Veteran hifi you can find everything from turntables, analog amplifiers, tone arms and pickups to record cleaners. Veteran HiFi is also the general agent for SME and Miyajima products in Sweden. For several years we also acted as a distributor for german Clearaudio, products we still have for sale and perform service on. In addition to a broad selection of high end-products we also manufacture and sell the critically acclaimed turntable Simply Black and the tone arm Simply Black Cantus. The products in the Simply Black line are especially developed to meet the high requirements of the hifi community while still maintaining a competitive price. The swedish magazine Hifi & musik has reviewed both Magic and Cantus. Read their positive judgement of Magic here and of Cantus here. Veteran hifi buys, sells and repairs everything related to analog sound. We also offer analog to digital conversion from most kinds of analog media: grammofon records (78rpm), vinyl records, 4 and 8-track tapes, etc. Building a balanced sound system demands thought and components that play well with each other. Therefore we do not offer the possibility to purchase items in a web shop, but instead ask you to get in touch directly with us regarding your sound system. Together we can discuss the best options for your particular setup and make sure everything will work without a glitch. Our ambition is the best possible sound for your money. Call us or send us an e-mail through the form on the bottom of this page.